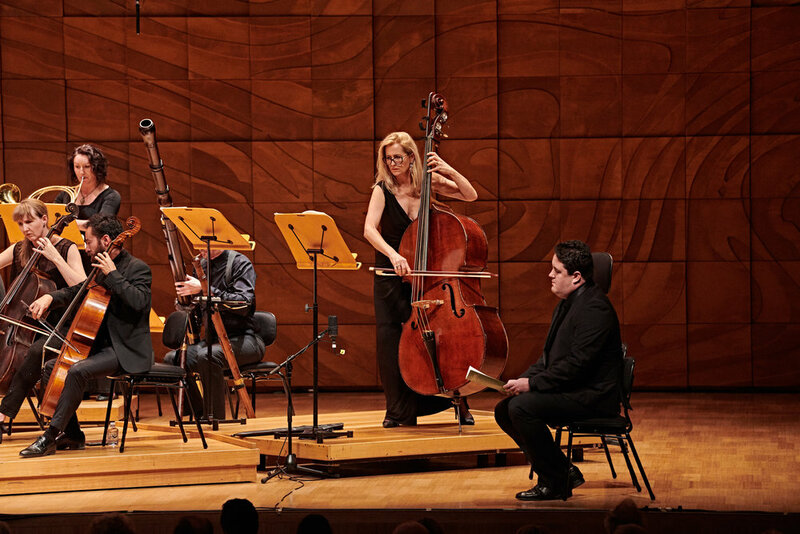 We've enjoyed glowing reviews for our weekend performances of Bach and Telemann. Bachtrack awarded five-stars, saying “And of course all praise to Erin Helyard for bringing it all together. The triumphant and joyful conclusion of the Easter Oratorio prompted rapturous applause from the capacity audience.“ Read the rest of the review here. Limelight said that 'all aspects of this enterprise are to be applauded', awarding four-stars. Read the rest of the review here. The Australian made special mention of the upper-register voices. 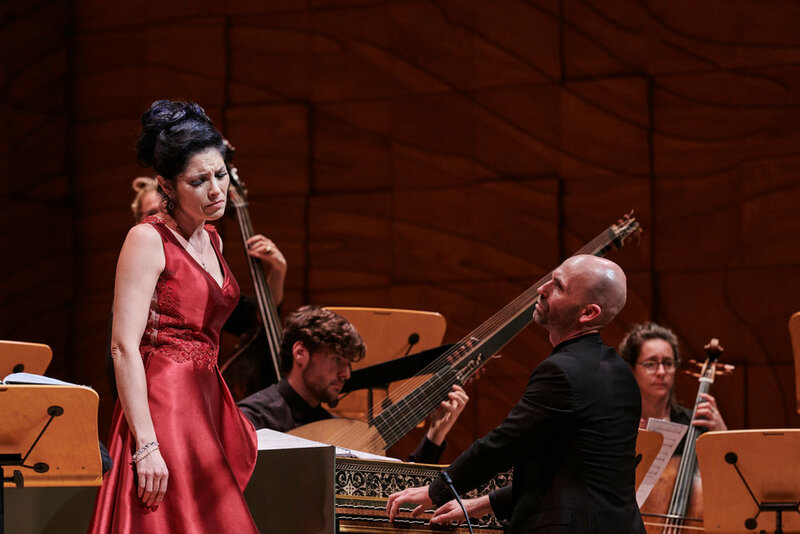 "Oomens shaped Seele, deine Spezereien into a dreamy arc of anguished beauty, while Dowsley glowed exultantly..."
The Sydney Morning Herald said that 'the Pinchgut achievement... was confident and engrossing to witness' also awarding 4-stars. Read the rest of the review here. 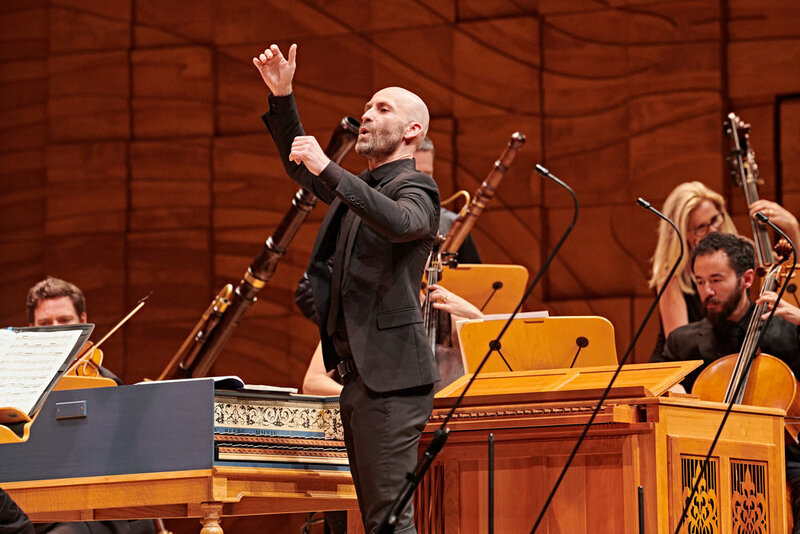 Classic Melbourne observed that ‘Pairing the Thunder Ode with Bach’s Easter Oratorio was an inspired piece of programming.’ Read the rest of the review here. 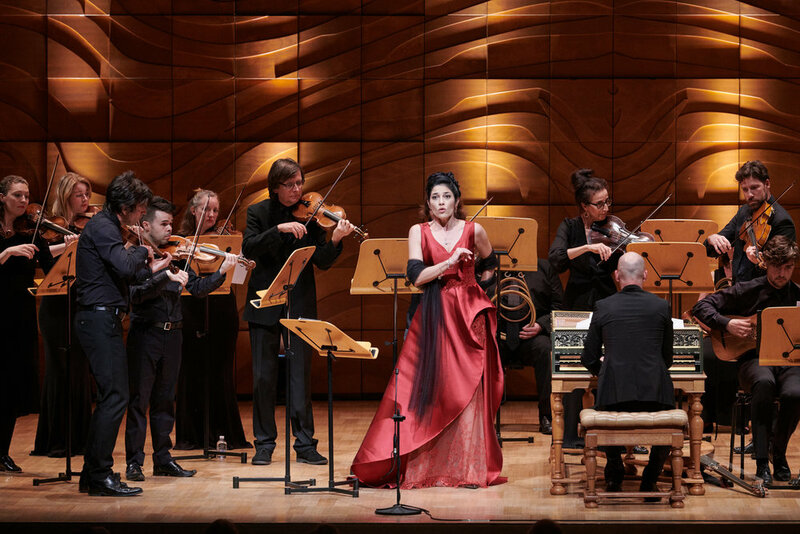 ArtsHub awarded four-and-a-half stars, saying that the ‘singing by the five soloists was exceptional’. Read the rest of the review here. Baroque stalwart Fernando Guimarães is preparing to return to the role of Ulysses, one that earned him a slew of critical acclaim including a Grammy Award nomination. Find out more about Fernando in this short interview. How does it feel returning to a role you're so familiar with? It’s actually a quite interesting experience, as everything is indeed extremely familiar to you and each note carries with it memories from past productions, specific requirements from past conductors, one or two body movements worked with past stage directors… But, on the other hand, tackling a role again after a few years makes you realise how much one has changed as an artist or even as a person: when you go back and listen to an old recording of yourself doing the same piece, it’s very surprising to realise that a LOT has changed and that you chose several different musical options. Therefore, every reprisal of a role ends up being a completely different experience, which makes it even more exciting. What can you tell us about the dramatic arc that your character goes on during the opera? 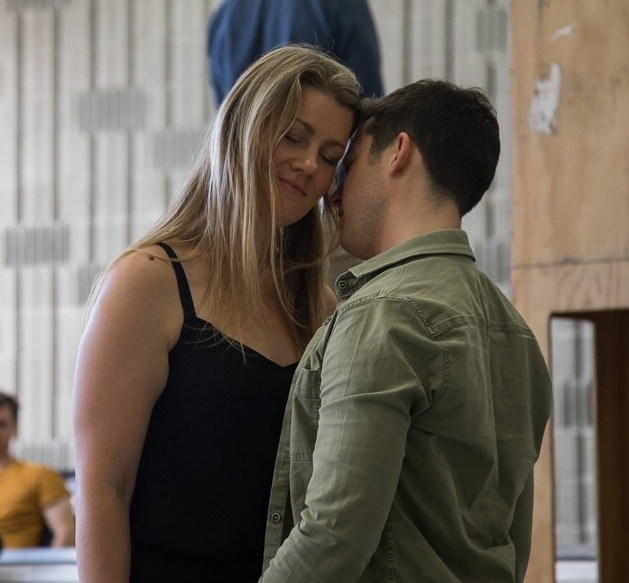 The character of Ulysses, in this opera, is much more than the archetypal Greek hero (although that IS indeed a big part of what he is). He can be ruthless or even borderline evil, when slaying Penelope’s suitors; he can be sly and cunning, when exploiting the possibilities of his old-man disguise; he can be comical and even silly, when confronting Iro; and he can be irresistibly tender and charming, in his final scene with Penelope. In this character is contained a surprisingly broad spectrum of human emotions. This was, in my opinion, the most “real” character ever written in opera until that point. Does your preparation routine change when you're approaching a role you've performed before? Approaching a role I’ve done before is actually quite comfortable, as you don’t have to worry as much about memorising everything. It all comes back to place quite easily, so the biggest challenge is not to let your body rely completely on “muscle memory” and freshen up the mental and technical approach of the role. It’s a permanent work-in-progress, no matter how often you’ve sung it before. Also, you have to be ready to change a lot of your “pre-defined” ideas about the role, as it all will depend on the work you’ll do with each new conductor and stage director; one has to be prepared and flexible enough to make whichever changes are required. Do you think there are any lessons for a modern audience in Ulysses? I think the biggest “lesson" that one can take from it is that not much has actually changed since the time of both Monteverdi and Ulysses himself… Humanity continues to experience and explore the emotions of love, fidelity, perseverance, vengefulness, deceit, lust, and so on, in the exact same way as we’ve always done since the beginning of it all. The details and context have changed, of course, but the core emotion is the same in Sydney 2019 as it was in Venice 1639 or in Ithaca BC. 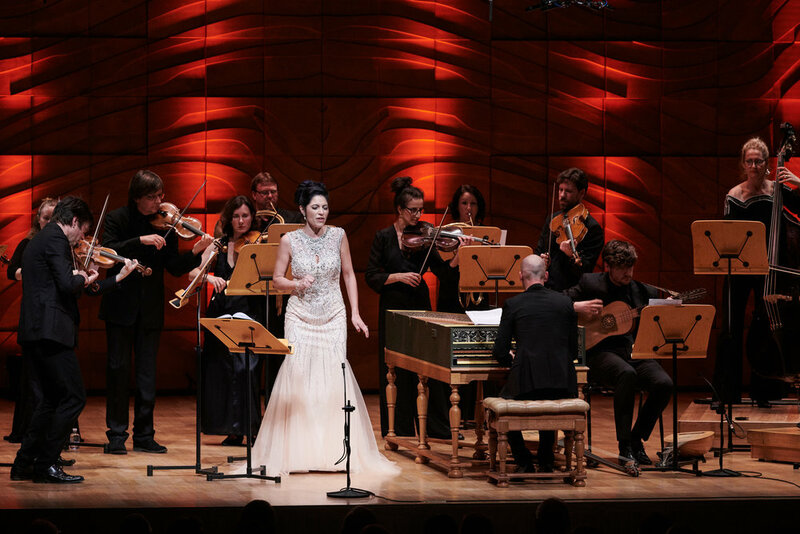 Anna Dowsley will feature in our upcoming Bach and Telemann concert, playing in both Sydney and Melbourne. We sat down with Anna for five minutes to catch up on her life in the opera world so far and what’s to come. As a result of her enjoyment of choir, Anna decided to pursue music at University. She thought that combining something more ‘useful’ like a history degree with her music degree would put her in better stead for the future, although she quickly dropped down to just a single major- music. I’m delighted to announce that I’m a Sydney-sider again, returning to this beautiful city to live after a 16-years absence. I’m back to take on a more dedicated role as Artistic Director here at Pinchgut Opera and in fact I am typing this now in my newly renovated office here at our spaces at The Opera Centre. I have been a full-time academic for the last seven years and I’ve lived in three cities. After completing my PhD in Montreal I moved to Wellington, and then to Canberra, and finally to Melbourne. It has been unexpectedly emotional for me to now return to the city that I last left as a resident when I was 25 years old. Although I have enjoyed my time in the university sector, it feels incredibly liberating to be pursuing my dreams now as a fully-fledged creative spirit in artistic leadership of a company that is going from strength to strength. Our next project brings us into new territory. Soon we explore two of my favourite baroque works: Telemann’s Thunder Ode and Bach’s Easter Oratorio. Both of these celebratory works are scored for exactly the same festive orchestration and we are additionally presenting the works in the format that Bach and Telemann originally heard them in: one-to-a-part. Telemann’s Thunder Ode was written in the same year as the great Lisbon Earthquake, a terrifying catastrophe that shook Europe to its core. 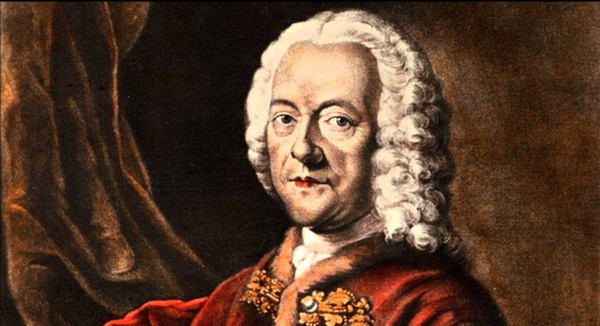 Rather than responding with a work of lamentation, Telemann’s work is rather a hymn to the awe-inspiring forces of nature. I’m thrilled to be back in bustling Sydney with its beaches and fine weather and I’m excited to be nearer my friends, my family, and my dear colleagues at Pinchgut and in the wider music community. Say hello if you see me around! Erin will conduct our Season 2019 opener, Bach and Telemann. Hasse’s Artaserse looks and sounds truly luscious. 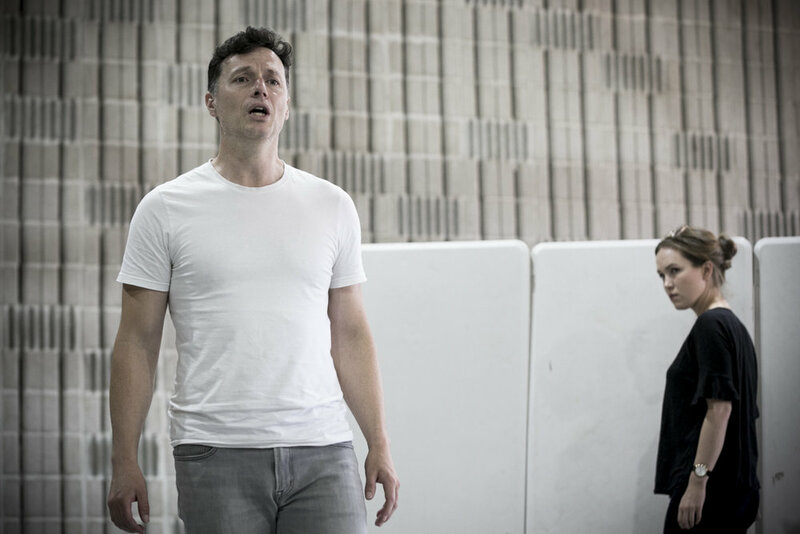 Photographer Brett Boardman captured these images during the late stages of the rehearsal period at the opera centre. Enjoy this behind the scenes look into our rehearsal room for Hasse’s Artaserse. Chas Rader-Shieber is a Pinchgut stalwart, back to direct Vivica Genaux in Hasse’s Artaserse. Candice Docker sat down with him to discuss his craft, career and what makes this piece so quintessentially baroque. You’ve worked with Pinchgut three times already, and it’s quite a long way to travel. What inspires you to brave the commute? This is my fourth Pinchgut show and then I’m coming back in May for number five (David & Jonathan (2008), Giasone (2013), L'Amant Jaloux (2015), Hasse's Artaserse (2018) and The Return of Ulysses in 2019). I come here for a number of reasons. I like to work, I enjoy my job, and sometimes even more important is the environment in which I work, and this is really a favourite company of mine. I love the idea of the company, I like the people who make it happen, I like the sensibility of it. Pinchgut is a company which is about ‘yes’ first. It has a great love of and belief in its mission, which is very rare. Plus, it’s Sydney! It’s my favourite city. The people are the sweetest people I’ve ever encountered anywhere, and it’s gorgeous, there’s great cultural life, it’s a great food town, it’s great for walking, it’s just a great city. After working with the artists for a week now, has anything surprised you about the production? Working on a production is always surprising. You can think about it for many months or years as you plan a production, and then you get to that last intense part of the process, rehearsing with singers in those weeks before a production, that’s really the tiniest portion, percentage wise, of the making of an opera production. Everything that happens that you didn’t think was going to happen is a big surprise in comparison and those are the surprises you want- the things that you didn’t think of that someone else does that makes things better. To that effect I am completely dependent on casting. I can only do a portion of the production- it’s a group effort. It’s a been a lot of ‘just me’ for a long time and now is time for it to be ‘me with other people’, and that’s the delicious part. Is this process of collaboration unique to your directing style? I don’t spend a lot of time sitting in on others directors work, but I would say that the art form requires collaboration. Not even a benevolent dictatorship, it just can’t be a dictatorship. Although that does happen, even with collaboration there are moments of that, I try to avoid that as much as I can. In the beginning, someone says ‘Hey, do you want to direct this opera?’ It’s one person alone in a room with a score, sometimes a recording if you’re lucky, just studying and seeing if that’s a piece that intrigues you, if that’s a piece you have something to say about. And then you add in the person whose taking charge of the musical side of things. That’s not my business, but it’s my business to collaborate with the person and, you know, I adore Erin, and we’ve worked together many times and so together we start to talk about the production. Now there’s two people. Opera company administration is then involved, and we’re writing contracts, casting, but the big growth of collaborators happens in that rehearsal period- Where all the people I’ve been dealing with join with the people who’ve been studying on their own, hoping to collaborate. You can study a scene all you want by yourself then all of a sudden you’re in a room with the other person who you’ve been having this imaginary conversation with for weeks, months or years, and then there you are, the servant with a million masters. Singers are amazing like that. You’ve directed a range of operas, from La Traviata to The Coronation of Poppea, but baroque opera is a bit of a specialty of yours. Are there any challenges unique to the form? I’m not 100% sure I made it a personal specialty, it just kind of happened, and I’m really happy about it. Early in my career I started doing a lot of baroque opera. It has kind of stopped me from doing other things sometimes- people don’t want to see me doing things beyond that repertoire, but I’ve pushed through that a little bit. 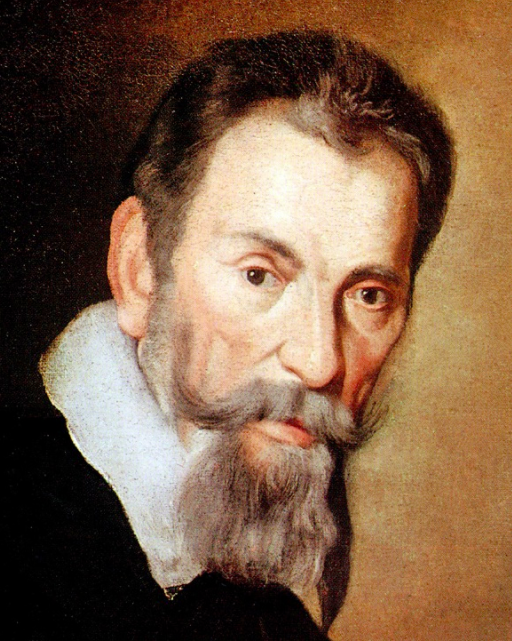 What’s special about baroque opera? A million things. I am drawn to the idea of structure- they are heavily but beautifully structured pieces. Sometimes I feel you can’t push at the envelope unless you have an envelope, and there’s a very specific envelope that baroque opera presents to you. Aria form, a specific style of recitative, those things are set and they are about offering limits to the creative mind. Limits beg to have pressure put upon them. You can’t look at a wall without wanting to manipulate it, push at it, climb over it or knock it over in some way, and that process is just joyous for me. If you know you’re going to have a da capo aria, trying to figure out how to move through it have it not stop the action but forward the action, trying to change the nature of how we hear one structure over and over again in the course of an evening, so that the audience should never feel the sameness of structure, that’s the challenge. It should be inspiring to know that you’re hearing a structure you’ve heard before but in a different way, and then in a different way again. That’s the fun bit and the challenging bit. Artaserse is a story about royals and nobility. What is there in this story for a modern, Sydney audience? When you recognise that the people on stage are like you in some way, you recognise that the things they say are the things you say, and the way that they think, the emotional arcs of those characters, are the same as for you, it’s easier for us to see ourselves on stage- which is really the job. Especially in baroque operas, the themes are so spectacularly clear. There’s a limited set of ideas at work, especially when you get to the 18th century pieces. You’re dealing with the struggle of the age of reason, to figure out ‘how do we temper emotion?’, and ‘how do we tame nature?’ and ‘how do we find balance?’, and balance, and balance. That is our enlightenment, is to find that balance. It’s an ongoing activity, we do it every day. When we end up in a problem with somebody, if someone is getting off the subway as you’re getting on, the animal in us wants to just push them or hit them. Sometimes, you have a bad day or you’re frustrated, one wants to act out because we’re animals, but we don’t because we’re a specific kind of animal. I don’t mean to simplify the age of enlightenment to learning not to push someone on the subway, but I do think that that part of us that is animal in nature that is based on survival. We temper those things and we call it society and mores and ethics, and that is a noble and wonderful thing that we do. We struggle every day to embrace that. These characters would love nothing more than to take one another out when they present with a problem. In fact, this all starts when one of them decides to do that, and it’s a horror that he does it. The ramifications of that are huge in this piece. It’s a perfect example of a baroque opera and what baroque opera has to tell us now. Enjoy this insight into the imagery inspiring designer Charles Davis as he works on Artaserse, and a sneak-peek at some costume sketches. Hasse’s Artaserse plays at City Recital Hall from 29 November - 5 December. Artaserse was not only one of the most popular libretti of the eighteenth century but it was also one of the most broadly influential for a wide range of composers and performers. Written by the great Pietro Metastasio and first set by Vinci in 1730 in Rome and then by Hasse in Venice in the same year, the plot of Artaserse focuses on the conflict between public duty and private desire. The substantial tensions at play – and alleviated only in the final climactic scene – allowed composers and singers to bring their significant gifts into play. 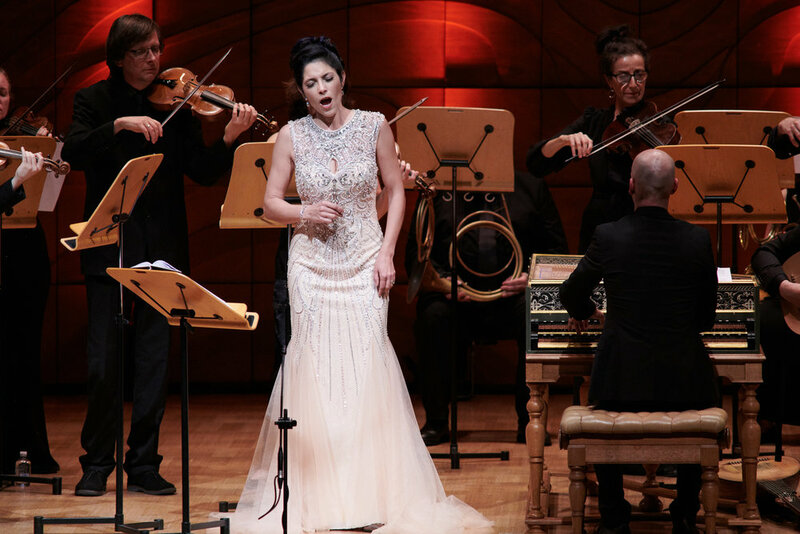 Both Hasse and Vinci’s settings of the stories received an extraordinary amount of revivals in subsequent decades and indeed – and most unusually for the genre of opera seria – it became something of a classic. Certainly Hasse’s spectacular Venetian setting established his international fame. It also launched the career of Farinelli, who created the role of Arbace and performed Hasse’s arias wherever he went for the rest of his performing life. When Hasse had to mount an opera in Dresden in 1740 for the Saxon crown prince Friedrich Christian’s return to Dresden from Venice, what better choice than a revision of his great Venetian success. This time, Hasse turned the work into a star vehicle for his wife, the renowned Faustina Bordoni. He revised his 1730 version and added 12 new arias: five of them are for Faustina in the role of Mandane. Although Hasse’s 1730 Artaserse has been performed and recorded, the Dresden 1740 version (presented here by Pinchgut) has never been revived in modern times, nor recorded. Here I play the part of the composer Hasse, conducting at the keyboard, and Vivica Genaux plays the role of Bordoni, in the role of Mandane! It has taken me many, many months of work to transcribe the Dresden score into a workable edition. But this is work I adore, as I feel much closer to the composer and librettist and of course fast become an expert in the opera itself. 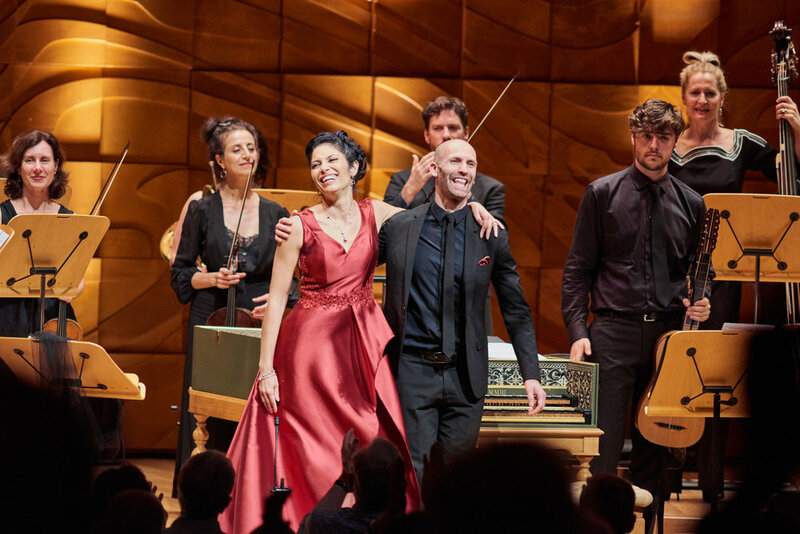 I’m delighted to welcome back to Pinchgut David Hansen in the “Farinelli” role – I knew David as a young student at the Sydney Conservatorium and I’m thrilled to have witnessed (and in also in some small ways been a part of) his phenomenal career. We both share a deep and abiding love of opera seria in this period and together with Vivica Genaux – who is quite simply the greatest advocate of Hasse and one of the most phenomenal virtuosi on the planet – I can’t wait to begin rehearsals on this very special opera from 1740, presented here for the first time after a silence of 278 years! Enjoy this gallery of images taken at our June 2018 production of Handel's Athalia. 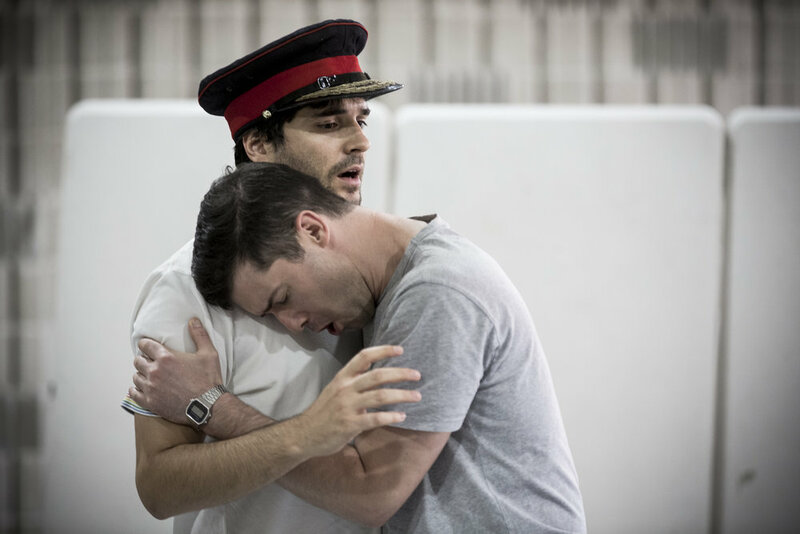 Enjoy this sneak peek at what goes on in our rehearsal room. 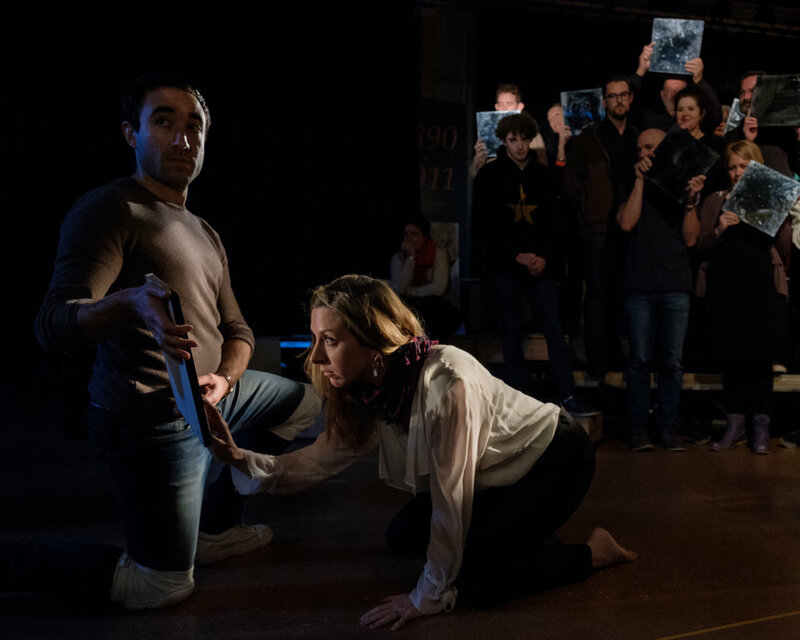 See the finished product at Handel's Athalia at City Recital Hall, 21-26 June. Photography by Robert Catto. Handel invented the English oratorio, more or less by accident. He wrote Esther for the Duke of Chandos, most likely in 1720. It was probably staged as a masque. In 1732 Bernard Gates, Master of the Children of the Chapel Royal, obtained a copy, and staged performances in private music clubs. Someone got hold of a further copy and in April 1732 a public performance of the work was advertised. Copyright protection was non-existent, so Handel received nothing from these pirated performances. He decided the best way to earn something out of the work, and to blast the pirates out of the water, was to turn it into a spectacular. He expanded it, enlarged the orchestra, and incorporated the Coronation Anthems, music from the Queen Anne Birthday Ode and movements from his Italian works. He imported his star Italian singers, and rewrote the music for their voices. A contemporary commented that Senesino and Bertolli “made such rare work with the English tongue you would have sworn it had been Welsh”. He probably intended it to be staged, but the Bishop of London forbade that. It was a huge success. Samuel Humphreys rewrote the original libretto, based on Jean Racine’s play. Handel turned to Humphreys the following year for Deborah, presented as “an Oratorio, or Sacred Drama, in English” at the King’s Theatre on March 17th 1733. In the same year, Handel received a commission to write a work for the Publick Act in Oxford. He requested Humphreys for another libretto on a Biblical subject. Humphreys adapted Racine’s play Athalie. 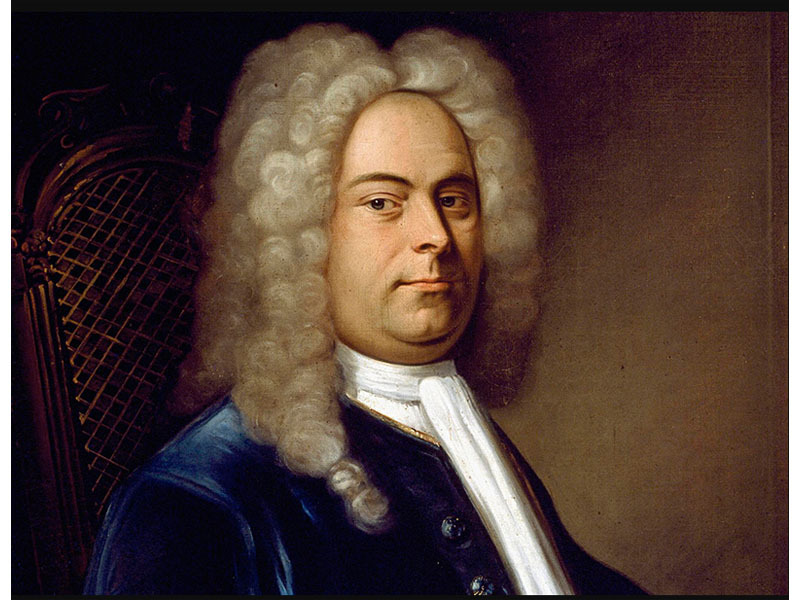 Handel completed the oratorio on June 7th 1733. It received its premiere at the Sheldonian Theatre on July 10th. In Esther and Deborah, Handel was feeling his way, but in Athalia, he brought his experience of opera and of choral writing together to produce a towering work. Handel produced his finest dramatic music when he could respond to a character. 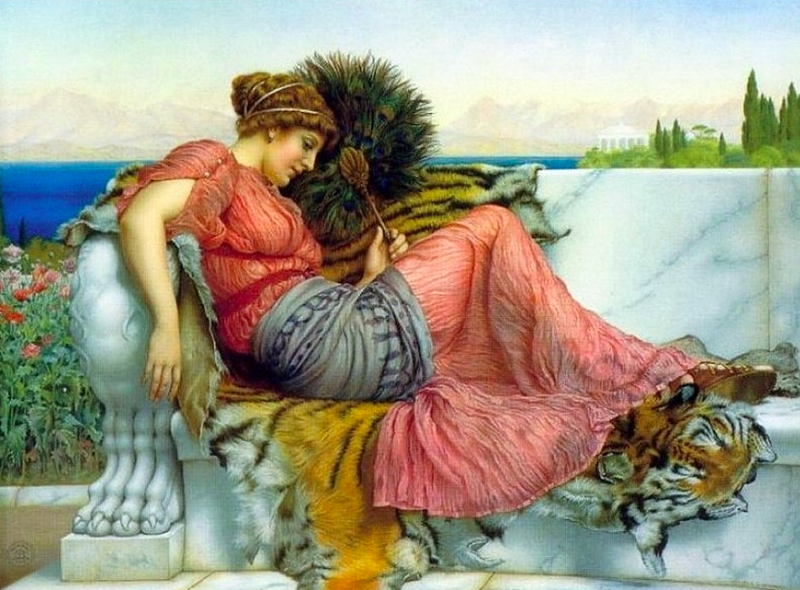 For Queen Athalia he wrote music which elevates her into a great tragic character. Other characters are sharply drawn, and Handel’s treatment of the chorus as integral to the drama is masterly. When the oratorio begins, Athalia has been on the throne for some years. According to the libretto, Athalia had murdered all possible claimants to the throne, but had missed one, Joas (Jehoash), raised under the name Eliakim as their son by Joad (Jehoiada), high priest of Yahweh, and Josabeth (Jehosheba). The oratorio opens with Joad lamenting Athalia’s blasphemy. All pray for deliverance from her. 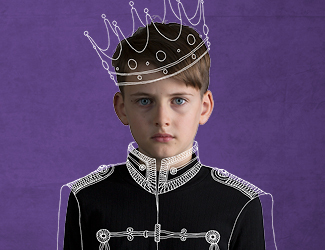 At the palace, the Queen has a dream in which a young boy dressed as a Jewish priest plunges a dagger into her heart. Mathan, the high priest of Baal, previously a priest of Yahweh, says it was only a dream but suggests she should have the temple searched. Abner, Captain of the Guards, goes to the temple to warn, just as Joad and Josabeth are preparing to reveal that Eliakim is Joas, the rightful King. Josabeth despairs at Abner’s news, but Joad tells her to trust in God. In Act Two, the Jewish people offer praise to God. Athalia enters. She sees in Eliakim the child who stabbed her in her dream. She offers to adopt him, but he refuses to be associated with an idolator. Athalia vows that she will have the child. Josabeth is downcast, but Joad urges her to trust God. In Act Three, Joad prophesies Athalia’s downfall. He and Josabeth tell Eliakim that he is Joas, the rightful King, and crown him. Athalia orders the treason to be punished. However, her forces have deserted her. Athalia goes to her death defiantly, declaring that she will seek vengeance from the grave. All praise the rightful King and the true God. It is useful to know the backstory to understand the action of the oratorio. Athalia is generally considered to be the daughter of Ahab and Jezebel, king and queen of the northern kingdom of Israel. Jezebel was Phoenician. Her marriage with Ahab was probably to cement relations between their countries. As a Phoenician she was a follower of Baal, and brought her religion with her. She persuaded Ahab to erect altars to Baal, and eventually to follow her religion. This led to conflict with followers of Yahweh, culminating in Elijah’s revolt. Ahab’s son Ahaziah succeeded him. When he died without an heir, his brother Jehoram succeeded him. 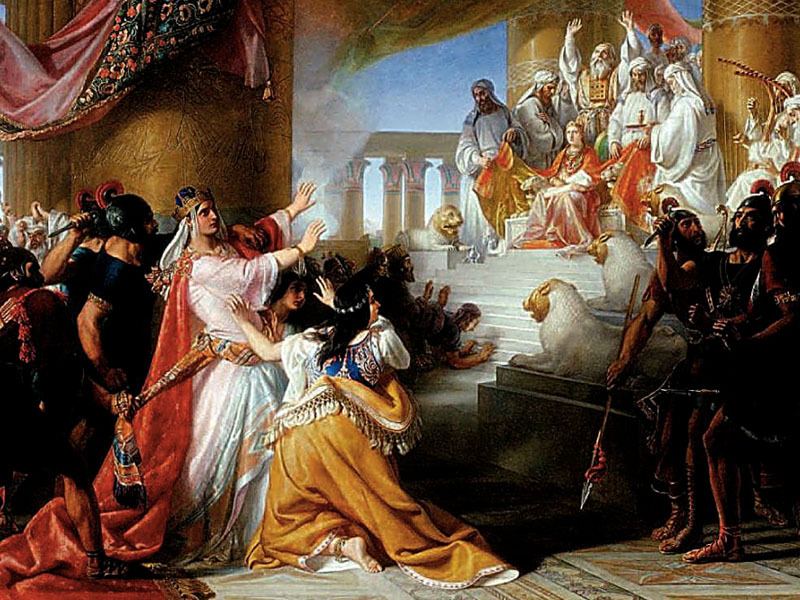 Their sister, Athalia, brought up as a Baalite, had a political marriage, to Jehoram of the southern kingdom of Judah, who had secured his succession by murdering his six brothers. On his death, his son by Athalia, Ahaziah, became king. Following the Battle of Ramoth-Gilead, King Jehoram of Israel, attended King Ahaziah of Judah, went to Jezreel to recover from wounds. While there they were killed by Jehu, who seized the throne of Israel, murdered Jezebel and the royal princes, then hunted down and murdered the relatives of Ahaziah. As Queen Mother, Athalia was the most powerful woman in the land. On Ahaziah’s death, she became queen, the only female monarch mentioned in the Bible. History is written by the winners. There is an alternative reading to Athalia’s story, as a political conflict between followers of Baal and those of Yahweh. Elijah led a revolt which saw the priests of Baal killed, yet a generation later, the religious divide endured. Jehu usurped the throne of Israel, ostensibly in the name of Yahweh, by murdering King Jehoram and Jehoram’s mother, Jezebel. He also murdered Ahaziah, King of Judah. The Bible records his murder of the royal princes of Israel and the “brothers of Ahaziah”. Athalia would have been the grandmother of direct descendants and have a vested interest in ensuring her line was continued. The survival of the rightful heir, brought up incognito by the High Priest of Yahweh, seems to be rather convenient. However, he was a figurehead behind whom the followers of Yahweh could stage a coup d’état. The music in Athalia was too good to waste. In 1734, Handel wrote two works, Parnasso in Festa, a Festa teatrale or Serenata, and the wedding anthem. This is the day that the Lord hath made, to celebrate the marriage of his pupil Anne, Princess Royal, to Prince William of Orange. He recycled much of the music of Athalia into these works. The Serenata enjoyed great success and Handel revived it in several seasons. He was not to write another English oratorio for five years, when he produced one of the finest of all his compositions, Saul. 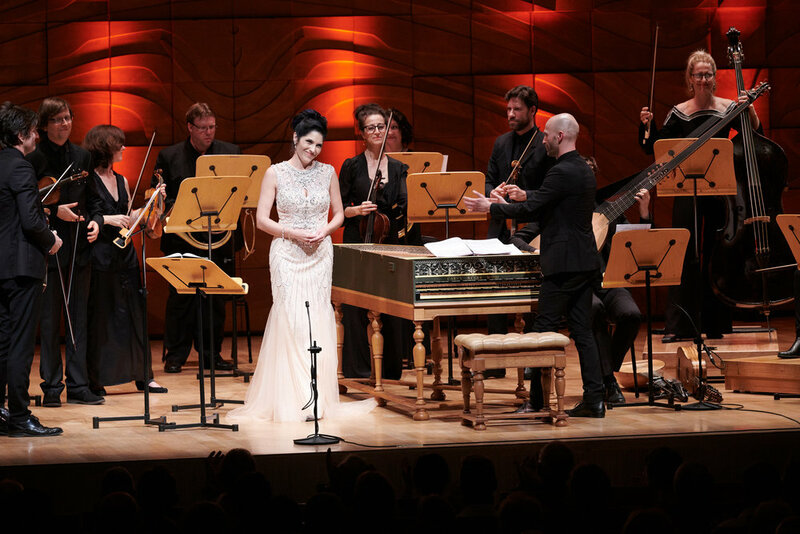 Pinchgut Opera's performance of Monteverdi's The Coronation of Poppea was our most successful to date. We thank you for your continued support and for coming on the journey with us. Here's a snippet to relish, the amazing Kanen Breen as Poppea's nurse Arnalta, performs the beautiful lullaby, "Oblivion Soave". Enjoy! Click to scroll through a selection of photographs taken by Brett Boardman at City Recital Hall on November 30, 2017.